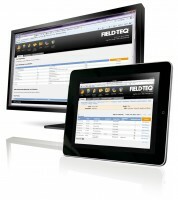 Take a look at what’s new in FieldTeq. Click on the image to stop the slide show. FieldTeq is a unique software package that allows businesses, companies and organisations to cover all aspects of their occupational health and safety compliance in the field.This simple, paperless solution leaves a complete audit trail, and provides instant connection between everyone involved in a particular project, but especially between those in the field and those in the office. The FieldTeq system ensures consistent compliance with OHS policies and procedures for fieldwork projects through a single interface that can be configured to suit each organisation’s requirements. The FieldTeq system automates workflows and approval mechanisms, improving project management by reducing administration and paperwork delays. With one central contact point for policy access, project and participant records, it also allows transparency across processes and projects for OHS reporting and audits. Utilising a simple web based interface, the FieldTeq system enables detailed project planning, methodical risk assessment, completion of safety and procedural checklists, management of assets and project records, and can include links to incident management systems. Features include – user home page with action items, emergency plans and risk assessments, activity and dive plans, nominated contact details, notifications of expiring qualifications, equipment service notifications, call-outs for volunteers and post activity reports. FieldTeq system guides project supervisors and participants through required project registration and planning workflows. It gives them notice of their project status and action items requiring their attention through a home page dash board and automated email alerts. Built in compliance checks for all participants, processes and OHS procedures are incorporated into the workflows to form approval gateways. These gateways verify that participants have the relevant qualifications or certificates for the projects and roles they select, and that correct planning procedures, work practices and risk assessments have been followed. If non-compliance is detected, for example, a qualification expires before a field trip commencement date, then the participant and project supervisors are alerted. FieldTeq will not allow the participant to progress to the next approval level until the non-compliance issue is resolved. Workflows can be constructed to appropriate standards for project activities, for example, occupational diving standards, and can be configured to suit individual customer needs. The FieldTeq system manages the access privileges of each user, protecting the security of personal information and ensuring that each user only receives or accesses information relevant to their level of authority.